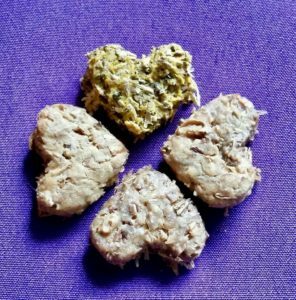 A tiny little chicken farm in Southern Indiana who also makes great doggy treats. Made from the spent brewer's grain from a local brewing company, Seymour Brewing Company, these treats are made with eggs from the chickens on the farm (who also eat the grain) and all natural peanut butter (no artificial sweeteners here!). Our Treats Are Loved by Indiana’s First Dog – Henry Holcomb!